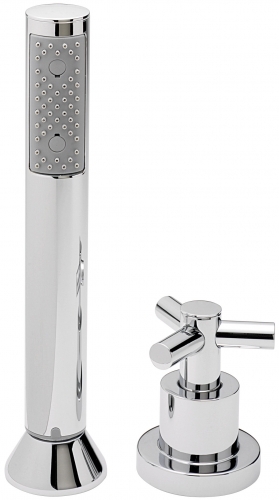 The Sagittarius Zone Deck Mounted Diverter and Bath Shower Handset ZO/196/C is part of the Sagittarius Zone range of high quality taps and showers. This ranges include contemporary linear designs and authentic traditional designs - providing something to suit every taste. The Sagittarius Zone Deck Mounted Diverter and Bath Shower Handset ZO/196/C includes a 10 Year gurantee covering manufacturer defects and chrome plating.